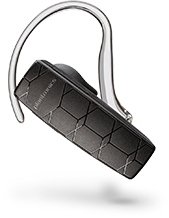 Plantronics W740-M Wireless Headset is changing the way productivity-focused office professionals communicate. With three-way connectivity, easily manage and switch between PC, desk phone, and now mobile calls from a single wireless headset. With a new convertible headset we’ve added the lightest DECT™ headset on the market to our suite of wearing styles so you can choose the one that’s best for you. Optimized for Unified Communications, the system automatically updates your status* to “busy” on PC, mobile and even desk phone calls so colleagues can see your availability. This intelligent system combines best-in-class sound quality, hands-free mobility and hours of talk time for ultimate efficiency. 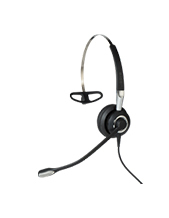 Once you experience a Savi 700 headset system you’ll wonder how you ever lived without it. 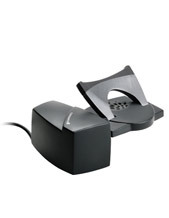 *Unlimited talk time with deluxe charging cradle kit, comes standard with Savi 745. 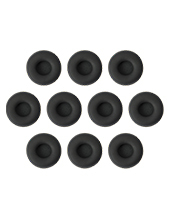 Available as an accessory with Savi 740. 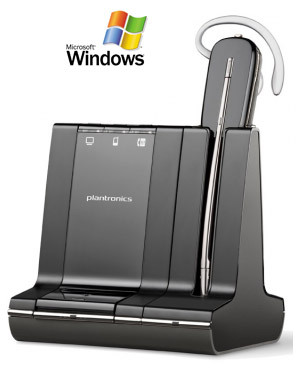 Plantronics W740-M Savi Office Microsoft Office Certified Wireless DECT Headset System UC Standard version built for UC applications and softphones from Avaya, Cisco, IBM and more.